Festival, Vocal, Music, Bhargavi, Balasubramanian. Bhargavi Balasubramanian is a very talented and proficient vocalist & instrumentalist - a rare combination that only a handful of artistes passionately pursue and excel as performing professionals. Bhargavi was initiated to vocal music by Smt Kokila Sundaram (a disciple of Lalgudi Gopala Iyer), and continued her vocal training under Savita Narasimhan (a disciple of Chitravina N Ravikiran). In the year 2000, Bhargavi was initiated to the exquisite 21-stringed instrument, Chitravina, by the legendary maestro, Chitravina N Ravikiran. Since then, she has been receiving advanced training in vocal and chitravina and has been a part of many of her Guru’s projects & musical endeavours. She is currently the only actively performing Chitravina artiste among the women in the world. Bhargavi has presented numerous vocal and chitravina concerts for many noted organizations across India and has also performed alongside her guru, Ravikiran, in reputed venues in India & USA and in special concerts and recordings for Sangeet Natak Akademi, Delhi, Television networks from France and Greece. She has also performed collaborative concerts with noted musicians such as Neyveli R Santhanagopalan, K N Shashikiran and performed with dance legends such as Guru Rhadha, Bragha Bessell and Sujata Mohapatra. 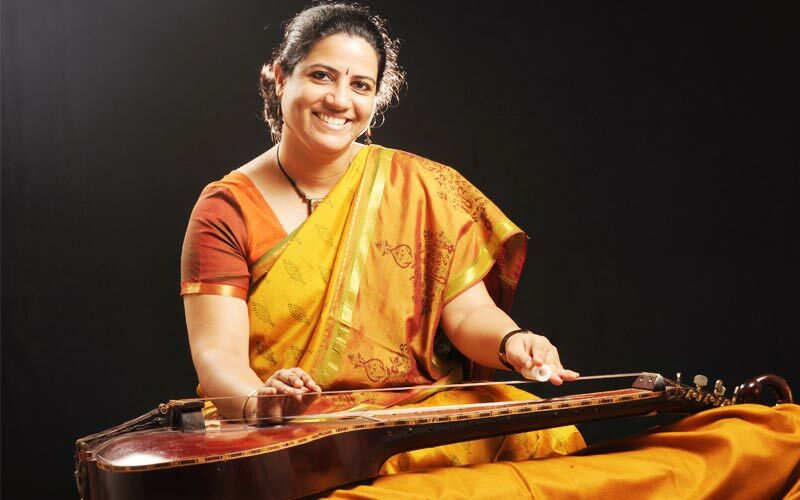 Her recent collaboration 'Sangeeta Samyoga' with Bangalore-based artiste, Srividya Ramanath (a disciple of Neyveli Santhanagopalan), has received great acclaim from several musicians and music connoisseurs. 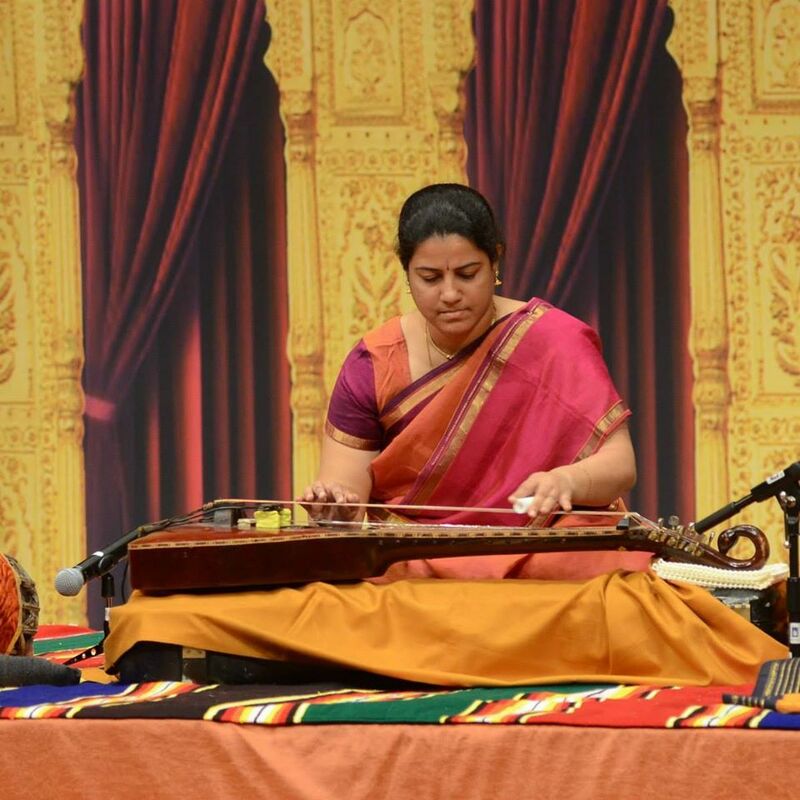 Bhargavi has been regularly performing in North America since 2008, in various cities such as Cleveland, New Jersey, San Jose, New York, San Diego, Boston, Phoenix, Florida and Toronto, to name a few. She has also presented numerous workshops and lecture-demonstrations in India, North America and Middle East, which have been well received and well acclaimed. She was featured as part of the ensemble for the world premiere of the epic operatic productions, Ramayana (2011) & Mahabharata (2014), in the Cleveland Thyagaraja Aradhana festival. In April 2017, she was also featured as one of the lead vocalists for the world premiere of Srimad Bhagavatam as part of the Cleveland Thyagaraja Aradhana's 40th year celebrations. Bhargavi was the lead-coordinator of a special ensemble that presented Jayadeva's Ashtapadis at the Cleveleand Thyagaraja Festival and worked on compiling a first-of-its-kind book on Geeta Govindam with Carnatic notations. Bhargavi has been recognised and honoured with titles such as, 'Isai Arasi' by Trinity Fine Arts and 'Sathya Sunada Sundaram' by the Bharatanjali Trust (Chennai). Recently, she had the honour of receiving the "T S Balakrishna Sastrigal Award for Excellence in the field of music" from Sangita Kalanidhi Dr Umayalpuram K Sivaraman. She is a graded artiste of All India Radio, Chennai in both chitravina & vocal. Bhargavi has also been featured as one of the lead vocalists in Ravikiran's melodic ensemble, Vintage Virtuosos, and has been featured in various music features and performances on Television channels such as Doordarshan, Amritha, Jai Hind, Shankara, & SVBC for Vocal and Chitravina concerts. Bhargavi is a much sought-after guru and a member of faculty of Ravikiran's International Foundation for Carnatic Music (IFCM). She has successfully trained students in many parts of the world through live as well as online classes. She is much respected for her skills in working patiently with students from all age groups and for imparting her Guru’s traditional and exclusive style through qualitative training! Many of her disciples have been prize winners in competitions such as Carnatic Idol, USA, Sangeet Samraat (Doha & USA editions), Cleveland Thyagaraja Festival competitions & Carnatic Star and many others. She has also conducted several summer camps & exclusive music workshops in USA and Doha and was one of the popular core trainers of the Cleveland Tyagaraja Aradhana's Sustaining Sampradaya programme. A dual degree holder in Commerce and Music, and a University Rank holder in Sanskrit, Bhargavi won the best student award for Business Studies in her school. She also completed her Advanced Diploma in Finance awarded by the Institute of Chartered Financial Analysts of India. Bhargavi also has a keen passion for video & audio editing and is a professionally qualified & certified audio-visual editor, recognised by Real Media Technologies, Chennai.